Edwards Adaptabel accessories are for use with 332, 333, 340, 435 and 439D bells. These bell accessories are used to add to the funcionality or look of the bell. Edwards 348, 349 and 449 back boxes are constructed of rugged die-cast aluminum and when used with any 340, 435 or 439D bell they are UL Listed for outdoor use. vandalism, as the bell is completely covered. 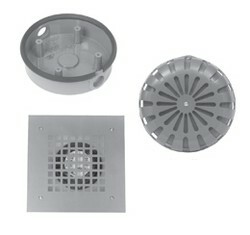 The wall box has a gray enamel finish and must be ordered separately. 512-A may also be used with 338 & 339 Series chimes.